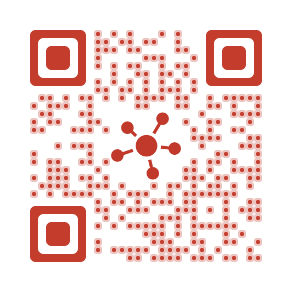 How much information can I store in a QR Code? The short answer to this question is 7,089 numeric characters (without spaces) or 2,953 alphanumeric characters with spaces and punctuation. While technically, a QR Code can store this much information, it is not advisable to create such a large QR Code unless you have sophisticated scanners that can decode these. The amount of information a QR Code can store depends on three factors – size, error correction, and character-type. Depending on the size, a QR Code has 40 categories (1-40). Version 1 contains 21 rows and columns of data (called modules) and Version 40 has of 177 modules. Higher the version, higher the capacity to store information. Error correction is added to QR Codes to ensure that the code is scannable even if it gets somewhat damaged or dirty. There are four levels of Error Correction – L, M, Q, and H.
L is selected for dirt-free environments, M is most common, and Q & H should be used in factory environments where the QR Code label is subject to wear and tear. When error correction of a QR Code increases, the overall capacity of the QR Code goes down as error correction takes up character space. Typically, QR Codes can have two types of characters – Numeric (without spaces) and Alphanumeric (with spaces and punctuation). If the characters are only numeric (such as in ID cards or inventory management), then the capacity of a QR Code is higher than if the characters are alphanumeric with spaces and punctuation. For capacity at error correction levels L, Q, and H, refer to the original source.